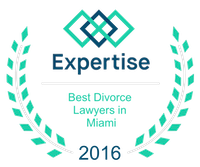 Tips for a Successful Remarriage | Miami Divorce Lawyers Vilar Law, P.A. While nobody enters into a marriage thinking that they're going to get divorced on the other side, divorce is just as much a reality in modern society as marriage itself. When people do get divorced, many want to get married again someday; however, they may be worried that their next marriage might wind up in the same spot as their last one. For people who are worried about divorce impacting their next marriage, there are a few tips that everyone should keep in mind for a successful remarriage. When people get divorced, it's not usual to feel a little bit down. Some people may think that they'll never find happiness again. When they realize that this isn't true, they are excited about having a new relationship and may think that this new relationship will bring them all of the happiness that they've ever wanted; however, this is an unrealistic expectation. If people think that their marriage is going to be the only source of happiness in their life, they will wind up putting their own wants and dreams on hold to make the marriage work. This is how the next marriage will fail. Make sure that the expectations are realistic. Some people who get divorced think that their biological clock is ticking. They may believe that they need to find another life partner fast or their window of opportunity is going to close. This simply isn't true. There are people of all ages out there who are looking for someone to spend their life with. Rushing into a new marriage is a quick way to wind up in another divorce. Take the time to make sure that both partners are compatible in every way. This will provide the best opportunity for success. People who have been divorced who enter into a new relationship may be tempted to try and make sure that their new relationship is different from their prior one in every way; however, this doesn't show proper respect to the new person who is involved in the relationship. Don't try to compare this person to the past spouse. This means that all of the attention is still focused n the past, overlooking what's happening in the present. Accept the new partner for who they are.